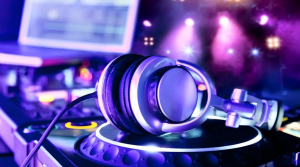 Music – I have an extensive song catalogue so I will always have the right music for your event. I always take requests from your guests and finally, you can give me some do’s and don’ts to ensure you get exactly what you want. Set Up – On the evening I try and set up early this means that you will not have any equipment moving through your venue disrupting the flow of your event. I am professional, experienced and extremely good at understanding both your needs and the needs of your guests. I pride myself on making your function one that you will remember and one that your guests will talk about for a very long time. Get in contact today !